For more than 100 years, government, and military leaders turned to Booz Allen Hamilton to solve their most complex problems. They trust us to bring together the right minds: those who devote themselves to the challenge at hand, who speak with relentless candor, and who act with courage and character. They expect original solutions where there are no roadmaps. "Flat," "Fast," "Mobile," "Protected"—these simple words describe the type of communication networks needed to win in future conflicts. Communication networks are a fundamentally complex system of people, processes, and technology. Technology is evolving more rapidly than ever and people who manage these systems require significantly more training to support them. Resilient IT networks are designed to anticipate, prepare for, and adapt to changing conditions. They also allow leaders and teams to withstand, respond to, and recover rapidly from disruptions in availability. As the cyber-attack surface expands, adversaries become more creative, and the complexity of the cyber domain grows, it’s necessary to modernize security operations by integrating machine intelligence. We can effectively fight cyber adversaries with intelligent automation and machine learning, decreasing the time to intrusion detection and response. Our solution combines machine learning techniques with advanced computing architectures, including graphical processing units and distributed computing to flag suspicious events, detect unknown-unknowns, and automate analyst processes. Through collective ingenuity, research and development, and applied experiences, Booz Allen is creating a new reality. Using AR, VR, and machine intelligence, Booz Allen is amplifying reality to provide immersive experiences and create an enhanced world using our full senses. New combat conditions will use machine intelligence for battlefield simulations to increase training efficacy. Mobile First: Data Anytime and Anyplace. The introduction of mobile computing changed how the Federal Government performs its duties. Agencies have begun to adopt a mobile-first mindset and are demanding a mobile component to all of their digital experiences. Join us at the AFCEA DCOS to learn about our secure mobile initiatives and engineering services such as Commercial Solutions for Classified (CSfC) integration, Samsung KNOX customizations, mobile threat protection, and location-based solutions such as District: Defend™. Expanding attack surfaces and increasingly sophisticated adversaries have driven organizations to deploy more tools and sensors to increase visibility and control across the enterprise. While providing improved visibility, these tools and sensors have increased the workload of cybersecurity experts and inundated them with more alerts and false positives than they can handle. A&O drives adaptive and automated actions that create a cohesive response to threats across multiple platforms. A&O helps to address this increased volume and velocity of threats by codifying manual tasks and connecting systems and teams together that otherwise would not integrate or communicate effectively. Securing ICS from cyber threats is complicated by the systems’ history. 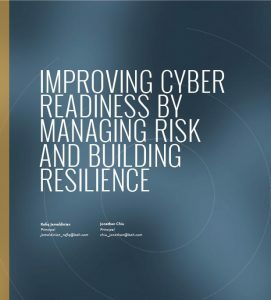 Most current systems were deployed in the pre-digital era, over a long period, and from a facilities perspective, with little focus on the threat of cyber-attack. As a result, the attack vulnerabilities for ICS arise from a broad, poorly understood, and disaggregated set of legacy systems combined with modern systems. Booz Allen comprehensively identifies, counters, and mitigates threats to these current systems to preserve the integrity of our clients’ most vital information and operations.